Working with Paddy Gilfeather, director and cameraman Graeme Johnstone-Robertson, and with original music written especially for the film, “Homeless FA: All to Play For” follows the work of the homeless FA in England, and the journey the squad take from training at Man Utd and Arsenal all the way to the Homeless World Cup in Poland. 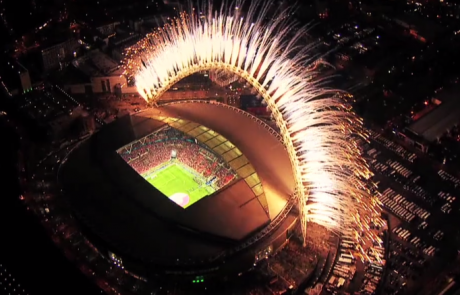 Cut during the match for Sky Sport’s coverage of the 2013 UEFA Champion’s League final 2013. Integer placerat bibendum odio, sit amet condimentum massa porttitor ac. Vivamus massa purus, eleifend ac magna at, consectetur consequat ligula. Nulla in odio gravida, tincidunt augue a, blandit est. Vestibulum ante ipsum primis in faucibus orci luctus et ultrices posuere cubilia Curae; Praesent congue quam a lacus interdum elementum. We specialise in Outside Broadcast edit systems and high quality fast-turnaround features and graphics for leading UK broadcaster and production companies.